Experience member-only savings 365-days a year. 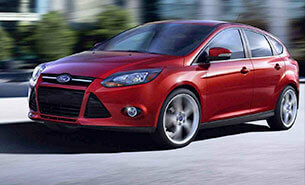 Choose from a wide variety of vehicles, plus learn about Limited-Time Specials. Experience member-only savings on a wide variety of vehicles. 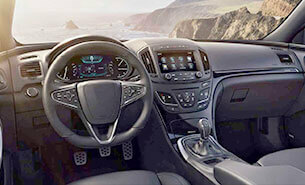 Save more - stress less when you purchase or lease your next vehicle. Save money with the purchase or lease of a new car, truck or SUV through Costco Auto Program’s approved dealers. Costco Auto Program connects you with approved dealerships offering pre-owned vehicles that meet strict eligibility requirements. 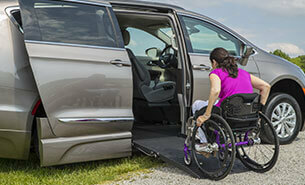 Costco members with physical disabilities can receive greater savings and independence with wheelchair-accessible vans or eligible vehicle mobility conversions. Receive even greater savings by combining low, prearranged pricing with manufacturer rebates and incentives, limited-time sales events, automotive coupons and more. We are very pleased with the Costco Auto Program and the dealership. We were treated as valued customers and in a way that would encourage us to participate again and to recommend the Costco Auto Program to others. I was pleased with the whole process of buying my car. I admit, I was unsure and kept waiting for the downfall. But, no downfall! Even my husband was pleased and he is extremely hard to please. Thank you. The Costco Auto Program is the best! It makes an otherwise painful experience hassle free. No haggling, no playing games between the salesman and the manager. You’re guaranteed a good deal. I will always use this program to purchase my cars. Costco and its affiliates do not sell vehicles or negotiate individual transactions. A participation fee has been paid by the participating dealers. All new vehicles arranged for sale are subject to availability and a price prearranged with the participating franchised dealer. Certain vehicles may be excluded from the program. 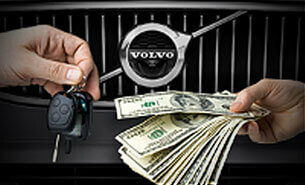 Actual savings may vary based on vehicle purchased, dealer and location. All information and vehicle data available on this website has been provided by reputable third parties. Costco Auto Program, Costco Wholesale, Affinity Development Group and its subsidiaries make no implied guarantees or warranties to this data. 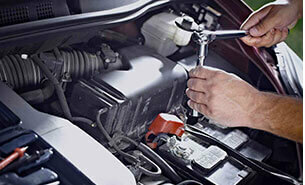 115% discount only applies to work done at participating service centers, not Costco Tire Centers. It cannot be used toward the purchase of air bags, oil changes, tires, state-mandated vehicle inspections or be combined with other promotions or incentives. Not applicable to 1) prior services, parts or work; 2) items covered by a vehicle’s warranty or insurance policy; 3) or at the time of vehicle purchase or lease. Not all Costco Auto Program dealerships currently participate in this benefit. Maximum savings per coupon: $500. Costco member must pay sales tax and tax is charged on the purchase amount prior to discount where required. 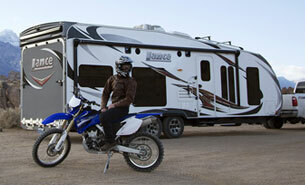 2No powersports product purchase necessary to receive 15% discount on parts, service, accessories and apparel. Does not include sale items. Incentive only applies to parts, service, accessories and apparel at participating dealerships. Must show Costco membership card to receive discount. Not applicable on prior purchases, service or maintenance at participating dealership. Cannot be combined with any other incentives. One coupon per visit. Maximum savings per powersports coupon: $200. Costco member must pay sales tax and tax is charged on the purchase amount prior to discount where required. Copyright © 2010 - 2019 Affinity Development Group, Inc., all rights reserved. We may collect “Personal Information”, which is information that identifies an individual or that can be reasonably associated with a specific person or entity, such as name, email address, telephone number, home address, geolocation, demographic information (such as ZIP code, gender and age), contact information, and information about vehicle purchases (such as a vehicle purchase agreement that you give us permission to review). The types of Personal Information we collect may vary depending on your use of the various features and programs available on the CAP Site from time to time. Provide feedback by participating in a member survey. Usage Information: When you visit the CAP Site, we, as well as any third-party advertisers and/or service providers, may use a variety of technologies that automatically or passively collect information about how various parts of the CAP Site are accessed and used (“Usage Information”), such as your browser type, device type, operating system, application version, the pages served to you, previous page views, the site from which you linked, the time and date of your visit to the CAP Site, your use of features on the CAP Site and your inquiries. This statistical data helps us understand what is interesting and relevant to users so we can best tailor our content. Usage Information is generally non-identifying, but if CAP associates it with you as a specific and identifiable person, CAP will treat it as Personal Information. Device Identifiers: We also automatically collect an Internet (IP) address or other unique identifier information (“Device Identifier”) for the computer, mobile device, technology or other device (collectively, “Device”) you use to access the CAP Site. A Device Identifier is a number that is automatically assigned to your Device when you access a website or its servers, and our computers identify your Device by its Device Identifier. We may use a Device Identifier to, among other things, administer the CAP Site, help diagnose problems with our servers, analyze trends, track users’ web page movements, help identify you and your inquiries, and gather broad demographic information for aggregate use. We may allow third parties to place and read their own cookies, web beacons, and similar technologies to collect information through the CAP Site. For example, our third-party service providers may use these technologies to collect information that helps us with traffic measurement, research, analytics and provide you with incentives and coupons, including the delivery of targeted advertisements. Depending on the configuration options offered by the operating system, web browser, and other software on your Device, you may be able to decide if and how your Device will accept a cookie by configuring your preferences or options in your Device or web browser. If you choose to refuse, disable, or delete these technologies, some of the functionality of the CAP Site may no longer be available to you. We may receive additional information about you from other sources and may combine that information with the other information we collect or receive about you. For example, you may choose to participate in a third-party application or social media site through which you allow us to collect (or the third party to share) information about you, including Usage Information and Personal Information. We may also receive information from third-party partners and service providers, including partners and service providers that provide us information that is publicly or commercially available. We may match the information we collect about you through the CAP Site with information collected from such third parties in order to enhance our ability to serve you, to tailor our content to you and/or to offer you opportunities to purchase products or services that we believe may be of interest to you. Other incentives or savings opportunities. Participating Dealerships and Vehicle Manufacturers: We may share your information with participating dealerships and/or vehicle manufacturers so that they can provide you with incentives, promotional materials, and other materials that you request or that we think might be of interest to you. For example, we may share your name, email address, phone number and requested vehicle information (such as make, model and vehicle features) with a participating dealership to help you with the purchase of your vehicle. However, CAP is not responsible for the privacy practices of these participating dealerships and/or vehicle manufacturers, which may use your information for their own purposes. Costco: We share Personal Information with Costco for customer service, member tracking and satisfaction purposes, and so Costco can communicate with you about other products and services to you that you may be interested in. Third Parties Providing Services on Our Behalf: We may share your Personal Information with third parties that perform functions on our behalf (or on behalf of our partners) such as service providers that host or operate the CAP Site, analyze data, fulfill inquiries or provide customer service; or other third parties that participate in or administer our promotions or provide marketing or promotional assistance. Business Transfers: Your information, including Personal Information, may be disclosed or transferred as part of, or during negotiations of, any merger or sale of company assets or acquisition. Legal Disclosure: We may transfer and disclose information, including your Personal Information, Usage Information and Device Identifier, (including IP address), to third parties to comply with a legal obligation; when we believe in good faith that the law requires it; at the request of governmental authorities conducting an investigation; to verify or enforce our applicable policies; to respond to an emergency; or otherwise to protect the rights, property, safety, or security of third parties, visitors to the CAP Site or the public. Non-Personal Information: We may share non-Personal Information, such as aggregate user statistics, demographic information, and Usage Information with third parties. You have a number of choices about how we handle information we collect or receive about you. Delete Your Information: In accordance with our routine record keeping, we may delete certain records that contain Personal Information you have submitted through the CAP Site. We are under no obligation to store such Personal Information indefinitely and disclaim any liability arising out of, or related to, the destruction of such Personal Information. “Do Not Track” Signals: Some web browsers may give you the ability to enable a “do not track” setting. Because these features are not yet uniform, CAP currently does not take action in response to these signals. CAP may use third-party network advertisers to serve advertisements and third-party analytics vendors to evaluate and provide us with information about the use of the CAP Site and viewing of our content. We do not share Personal Information with these third parties in connection with serving interest-based or targeted advertisements (unless, of course, you give us permission), but ad network providers, the advertisers, the sponsors, and/or analytics service providers may set and access their own cookies, pixel tags and similar technologies on your Device and they may otherwise collect or have access to information about you, including Usage Information. On occasion, we and our network advertisers may target advertisements for products and services in which you might be interested based on your visits to both the CAP Site and other websites. We may use a variety of companies to serve advertisements. CAP adheres to the Digital Advertising Alliance’s Self-Regulatory Principles for Online Behavioral Advertising. If you do not want to receive the benefits of targeted advertising, you may opt out of some network advertising programs that use your information by visiting: the NAI Opt-Out Page and the DAA Opt-Out Page. Please note that even if you choose to remove your information (opt-out), you will still see advertisements while you’re browsing online, including advertisements that are relevant to the content of the webpage or application page on which they are displayed and advertisements that are relevant to your current location. However, the advertisements you see may be less relevant to you and your interests. Additionally, many network advertising programs allow you to view and manage the interest categories they have compiled from your online browsing activities. These interest categories help determine the types of targeted advertisements you may receive. The NAI Opt-Out Page and the DAA Opt-Out Page each provide a tool that identifies its member/participating companies that have cookies on your browser and provides a mechanism to opt out of receiving cookies from those companies. Please note that if you opt-out of targeted advertising, we may still track your visits to the CAP Site for our own analytics, operations and security purposes. We may communicate with you regarding any matter related to the Costco Auto Program via mail, via telephone or via electronic communications, including via email to the email address you provide, via text message to the mobile phone you provide, or via the CAP Site. By providing your mobile phone number, you agree to receive text messages at that mobile phone number. To opt-out of receiving text messages, please follow the instructions in the body of the text message. Note that in order for you to receive communications via text message, you must maintain, at your own cost, a mobile device capable of sending and receiving text messages. Message and data rates may apply to each text message sent and received in connection with the Costco Auto Program. Please see your wireless provider to review your wireless plan details. We take information security seriously and use certain reasonable security measures to help protect your Personal Information. However, no electronic data transmission or storage of information can be guaranteed to be 100% secure. Please note that we cannot ensure or warrant the security of any information you transmit to us, and you use the CAP Site and provide us with your information at your own risk. The CAP Site may contain links to other websites or online services that are operated and maintained by Costco or third parties, and that are not under the control of or maintained by CAP. The Costco Auto Program is operated in the United States by Affinity Auto Programs, Inc., doing business as “Costco Auto Program” (“CAP”, “we”, “us” or “our”), which is an independent company, not an affiliate of Costco Wholesale Corporation (“Costco”). This document sets out those terms and conditions (the "Agreement") under which we allow you ("you", "your") to use our website ("Website"), whether you do so just to find out about us and our services or to provide us with information in order to participate in the Costco Auto Program or in any other activities through the Website. If you are visiting our Website as a Visitor (see below for definitions), your use of the Website confirms that you agree to this Agreement. To access other services or parts of the Website, you may have to confirm that you have read, accepted and agreed to this Agreement by clicking on "Accept" or you will not be able to view or use those portions of the Website. We may change any of the terms or conditions of this Agreement from time to time without notice. You should revisit the Website periodically to review the terms and conditions of the then-current Agreement. Any revisions to this Agreement are effective once posted on or accessible from or through the Website. “Agent” means any person who provides Personal Information to the Costco Auto Program in any manner on behalf of another individual. “CAP Service(s)” means any one or more of the services or benefits offered by the Costco Auto Program from time to time; which may include a referral to a participating CAP dealer, issuance of a dealer parts and service coupon, or issuance of an authorization number to register to participate in an OEM promotion or any other service or benefit offered by the Costco Auto Program. "Data" means any and all records, documents, data and information collected by CAP related to any Guest’s use of any CAP Service from a Guest, an Agent, a Participating Dealer or an OEM; including, without limitation, certain non-Personal Information about vehicle purchases (such as a vehicle make, the vehicle model and model year, purchase date and price paid or capital cost of lease), Personal Information related to Guests, and related matters. “Guest” means an individual who submits information to the Costco Auto Program to participate in one of more of the CAP Services. A Guest may access the Website as a Visitor on a different occasion without disclosing information or requesting a CAP Service. A Guest may provide certain Personal Information personally and/or directly, or they may use instruct an Agent or representative to do so. "OEM" an original equipment manufacturer. "Personal Information" means all information about an identifiable individual; including, without limitation, name, email address, telephone number, home address, geolocation, demographic information (such as postal code, gender and age), contact information, Costco membership number, and certain information about vehicle purchases whether provided by a Guest, Agent, Visitor Participating Dealer or OEM (such as the vehicle purchase agreement or a vehicle sales file which may include the vehicle identification number, model and model year, purchase date, price paid or capital cost of lease, MSRP and invoice price). “Visitor” means anyone who visits the publicly available parts of our Website, but who is not asked to provide information related to a request to use one or more of the CAP Services. Visitors can access information from the Website's publicly available areas without creating an account or otherwise submitting information about themselves. However, by using the Website, Visitors agree to accept all of the terms and conditions of this Agreement. A Visitor may not utilize a CAP Service and cannot request to access the Data. You are aware of the content of this Agreement and agree to follow its terms and conditions. You agree that you will follow all of the rules, requirements and regulations set forth by CAP from time to time. Those rules, requirements and regulations are currently as set out in this Agreement. These rules, requirements and regulations will apply to any use of the Website and access to the Data and will apply to you whether you are a Guest, Visitor or Agent. you possess the legal authority to enter into this agreement and to use the Website in accordance with all of the terms and conditions contained in this Agreement. Other rules, policies and procedures we communicate to you from time to time. You will not use the Website for any purpose that is unlawful or prohibited by this Agreement. collect any content or information from CAP, our licensee’s or any user or otherwise access the Website personally or through any automated means (such as harvesting bots, robots, spiders, or scrapers) without our permission. A relationship where CAP or you act as each other's legal agent. This Agreement grants no rights, only privileges and permission. You agree that CAP, in its absolute discretion, will be the sole judge of whether you have breached any provision of this Agreement and that any privileges or permission granted to you under this Agreement may be revoked, suspended or terminated by CAP at any time without notice. You acknowledge that the Internet and websites accessed by you are inherently dangerous and subject to computer, system and network failure as well as malicious human activity. While CAP will take such steps as are reasonable in the circumstances to maintain the security of this Website and the Data and your privacy and confidentiality with respect to information you provide, you agree that you use this Website completely at your own risk and that in no event shall CAP be held liable for any loss or damages, however caused, except as expressly provided in this Agreement, even if caused by the negligence or reckless behavior of CAP. THE COSTCO AUTO PROGRAM DOES NOT WARRANT THAT THIS WEBSITE WILL OPERATE ERROR-FREE OR THAT IT AND ITS SERVER OR SERVERS ARE OR WILL BE FREE OF COMPUTER VIRUSES, TROJAN HORSES, OR OTHER HARMFUL CONTENT, DEVICES OR PROGRAMS. THIS WEBSITE AND ITS CONTENT AND MATERIAL, AND ACCESS TO THE DATA, ARE ALL PROVIDED ON AN "AS IS, WHERE IS", AND "AS AND WHEN AVAILABLE" BASIS WITHOUT ANY REPRESENTATIONS, GUARANTEES, CONDITIONS OR WARRANTIES OF ANY KIND. TO THE FULLEST EXTENT PERMITTED BY THE LAW, THE COSTCO AUTO PROGRAM DISCLAIMS ANY AND ALL CONDITIONS AND WARRANTIES, WHETHER EXPRESS OR IMPLIED, INCLUDING THE CONDITION OR WARRANTY OF MERCHANTABILITY AND THE CONDITION OR WARRANTY OF FITNESS FOR ANY PARTICULAR PURPOSE. THE COSTCO AUTO PROGRAM MAKES NO WARRANTY OR REPRESENTATION OF NON-INFRINGEMENT. THE COSTCO AUTO PROGRAM FURTHER MAKES NO WARRANTIES OR REPRESENTATIONS CONCERNING THE ACCURACY, RELIABILITY, COMPLETENESS, OR TIMELINESS OF THE DATA ACCESSED BY USE OF THE WEBSITE. CAP strives to ensure information is accurate and current. However, we make no representations to you about the accuracy of the information contained on the CAP Website. This includes, without limitation, the availability of any CAP Service to you on a local or national basis. You further agree THAT THE COSTCO AUTO PROGRAM will not be liable to you for any damages you may suffer and that IN NO EVENT WILL COSTCO AUTO PROGRAM BE LIABLE FOR indirect, general, special, economic, consequential, EXEMPLARY or punitive damages resulting from the use of (or inability to use) this Website or any cap service, whether in tort (including negligence), contract or any other cause of action, including without limitation, for availability of any cap service, loss of data, information or programs, or damage to computers or networks, or from breach of privacy and similar personal rights, or from infringement of intellectual property rights, OR FROM DEFAMATION, LIBEL OR SLANDER, or any other damages whatsoever, whether or not CAP shall have been advised of the possibility of such damages. THIS AGREEMENT DOES NOT EXCLUDE OR LIMIT CAP’S LIABILITY (IF ANY) FOR DEATH OR PERSONAL INJURY CAUSED BY CAP’S NEGLIGENCE, FRAUD, FRAUDULENT MISREPRESENTATION OR ANY MATTER WHICH IT WOULD BE ILLEGAL FOR CAP TO EXCLUDE OR ATTEMPT TO EXCLUDE CAP’S LIABILITY. SOME JURISDICTIONS DO NOT ALLOW LIMITATIONS ON IMPLIED WARRANTIES OR EXCLUSION OF LIABILITY FOR CERTAIN TYPES OF DAMAGES; AS A RESULT, ONE OR MORE OF THE ABOVE LIMITATIONS OR EXCLUSIONS MAY NOT APPLY TO YOU. CAP will not be liable or responsible for any failure to perform, or delay in performance of, any of our obligations under this Agreement that is caused by events outside our reasonable control. CAP’s performance will be deemed to be suspended for the period that any such event continues, and we will have an extension of time for performance for the duration of that period or such longer period as we may reasonable require. We will use our reasonable efforts to end the event or to find a solution by which our obligations may be performed despite the event. CAP's performance of its obligations under this Agreement is subject to all applicable laws and regulatory requirements. Nothing contained in this agreement is in derogation of CAP’s rights and obligations to comply with law enforcement requests or requirements relating to your use of the Website or information provided to, or gathered by CAP with respect to such use. Computer records stored in reasonably secure conditions by CAP with respect to the Data, the Website and your access to them will be accepted as conclusive evidence of your conduct, communications and dealings with the Data and the Website. Computer records will be deemed to be stored in reasonably secure conditions if systematically recorded on a durable and inalterable medium, including a write-protected disk, tape, CD or DVD or similar medium, or, if upon an alterable medium, upon reasonable proof that such record has not been altered. You agree that any breach by you of this Agreement will not be fully compensable in damages and you therefore agree that CAP shall be entitled to immediate equitable, injunctive and other similar relief against you without notice and without the necessity of proving damages or the likelihood of damages. You agree to indemnify and save harmless CAP for any damages sustained should you breach your warranties and representations or any term or condition of this Agreement. The Website, its organization and design (including all software code and architecture and the look and feel of the Website and its user interfaces), and all information, images, artwork, text, video, audio, pictures and other material and content on the Site, all of which CAP owns or has the right to use, are protected by copyright and other proprietary rights. CAP grants to you a non-exclusive, limited and revocable license to download and view the content available on this Website on your computer for the purposes stated in this Agreement and no other purposes. you understand and agree that CAP is not obligated to use, display, reproduce, or distribute any such ideas, know-how, concepts, or techniques contained in the Feedback, and you have no right to compel us to do so. CAP may assign this Agreement to any affiliate or any third party at any time. You may not assign this Agreement or any rights or benefits offered to you by CAP. This Agreement shall remain personal between you and CAP. In its absolute discretion, CAP may terminate this Agreement at any time with or without notice to you. You may not terminate this Agreement or any provision. This Agreement will remain in force between you and CAP unless and until terminated by CAP and CAP may enforce any and all provisions of this Agreement against you, and, if you are an Agent, against any organization you are employed with or on whose behalf you access the Website or the Data. This is the entire agreement, contract and understanding between you and CAP and supersedes any prior terms and conditions, agreement or understanding between you and CAP. If you wish to provide a link to our Website from your own web site, you may only link to our home page at www.costcoauto.com. You may not use any of our icons or logos on your web site without our prior written approval, and you may not use the link to suggest that we sponsor, endorse, approve of or are affiliated with you or your web site. We may from time to time add new features to the Website, remove existing features from the Website, or otherwise modify the Website, the CAP Services and any of the products, services and content made available through the Website (including their functionality, “look-and-feel”, universal resource locators and software components), all without notice to you or any liability to you. This Agreement shall in all respects be governed by the laws of State of Delaware. You agree that any and all disputes will be adjudicated by the Delaware courts. You expressly submit to the jurisdiction of such Delaware courts. The use of the Website in any jurisdiction not giving effect to all provisions of these terms and conditions is unauthorized. Should any term or provision of this Agreement be held by a court of competent jurisdiction to be unenforceable, then such term or provision shall be severed from this Agreement; provided, however, that the remaining provisions terms and provisions of the Agreement shall continue to be valid and enforced. All contents of the Website are: Copyright © Affinity Auto Programs, Inc. Other trade-marks of third parties displayed on the Website are the property of such parties, used with permission. All rights are expressly reserved.